Entries are now open for The Graeme Obree Classic Sportive. Taking place on Sunday 31st of July setting off from Auchincruive College the event offers the opportunity to experience some of the best, most cycling friendly roads in Scotland. 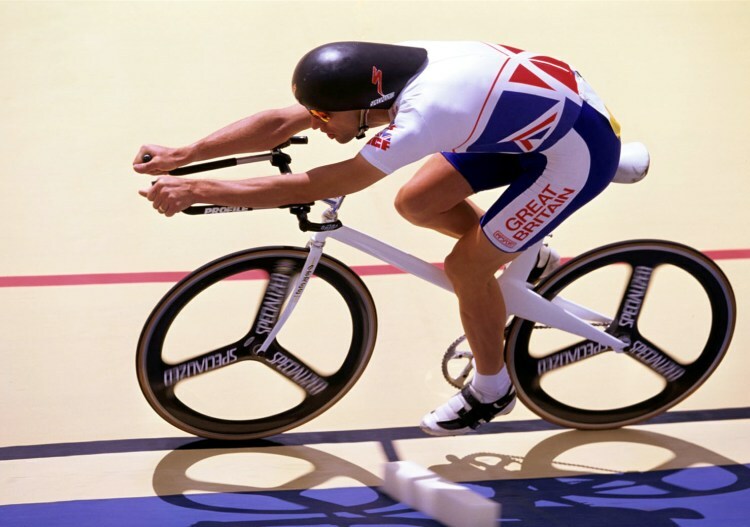 Graeme Obree turned the world of competitive cycling on its head when he smashed the World Hour Record in September 1993 aboard the bike he nicknamed Old Faithful and which he hand-build, famously including parts of a washing machine. His exploits inspired a generation of cyclists and were recreated in the movie about his life “The Flying Scotsman”. 65 mile endurance ride – Starting at Auchincruive this route will challenge the strongest riders with 65 miles of demanding, energy sapping roads with in excess of 3,500 ft of climbing. Heading south via Crosshill, before tackling the notorious climb of the Nick O’Balloch. The route then travels to Straiton and Dalmellington, before turning north west and back towards Ayr. The Flying Scotsman, Graeme Obree will lead this ride across many of the roads he trained on as a youngster, en route to his becoming world Hour Record holder x 2 and World 4000m pursuit champion twice. Graeme Obree added “This will be the first year of what we anticipate will become an annual event and hopefully a celebration of cycling. The Headquarters will be at Auchincruive College just East of Ayr which allows access direct to some of Scotland’s finest cycling roads and most beautiful scenery. A landscape that inspired The Bard, Rabbie Burns to commit to poem his feelings and me to take up cycling as a youngster. I love these roads, many of which were a feature part of the old Girvan Three Day International Event. The inclusion of the family ride is great and I would be thrilled to see lots of families join us for the family ride on the day. I am honoured that a cycling legend, Yvonne McGregor is prepared to lend a hand too. Yvonne’s record puts most others to shame, she was and is a sparkling talent and is still a great cyclist. I am also delighted that the local cycling community will be out in force helping to make sure the inaugural event is a great success. Huge thanks to to Ayr Roads CC, Fullarton Wheelers and The Loudoun Road Club for backing the event.